One overlooked aspect of the reveal for Majora’s Mask 3D was that there a part that showed off text which was not in the original game. 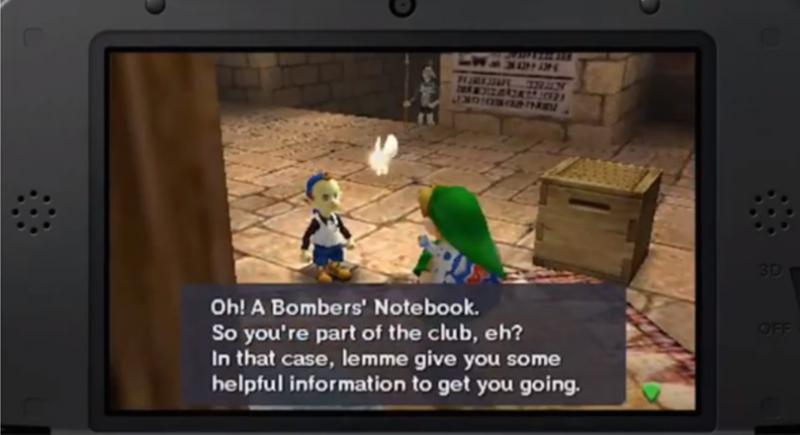 It could be rather insignificant in nature, but it seems to imply there is a tutorial or some sort of help system in place for those that would like one, specifically with the side quests and the Bomber’s noteboook. Like most tutorials, the text suggests it is completely optional, but we’re really just guessing at this point. Many thanks to reddit user, zelda2013, who uncovered this detail! What do you think of it?